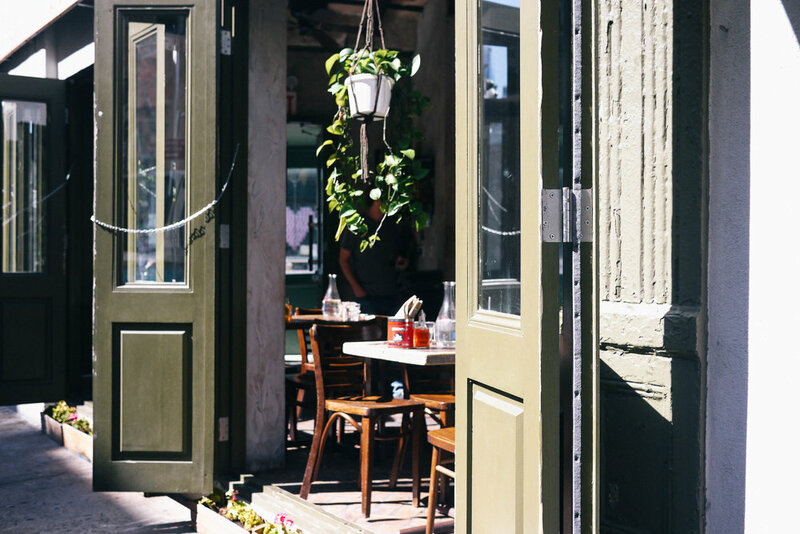 For locals like NYC passersby Caitlin McMullen, Kristi Garced, Christina Andrew and Dasha Faires, it takes an informed New Yorker to know the hidden secrets of a neighborhood. With an awning for a Chinese printing company, people on the street may not recognize that inside is a traditional Greek restaurant. Kiki's opened in April 2015, and it still remains a warm place for diners to experience this hidden tavern for small bites of Greece. When a restaurant like Kiki's remains traditional, it means that comfort food needs no translation. The menu lists dishes like Melitzanosalata (mashed eggplant dip) and a Garido-Makaronada plate (spaghetti with shrimp on the shell). While its outside appearance may cause people to miss this restaurant, the inside looks like a Greek tavern with the feeling of a speakeasy that perhaps didn't want you to know it was there to begin with. It remains a secret to people who lead with adventure and try new food in the neighborhood. Even though it is buried in the populated downtown area, its menu brings regular customers coming back even just for an escape. The dishes are rich, but its content and ingredients keep freshness and authentic cooking practices in mind. Visit KIKI'S at 130 Division St, New York, NY 10002.